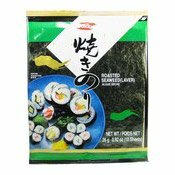 wasabi, your choice of fillings - tuna, cucumber, avocado, crab meat, etc. 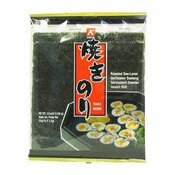 This product is naturally high in iodine. Once opened store in an air-tight container. 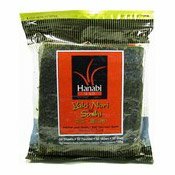 Simply enter your details below and we will send you an e-mail when “Yaki Nori (Roasted Sushi Seaweed) (壽司用紫菜 50SHEETS)” is back in stock!